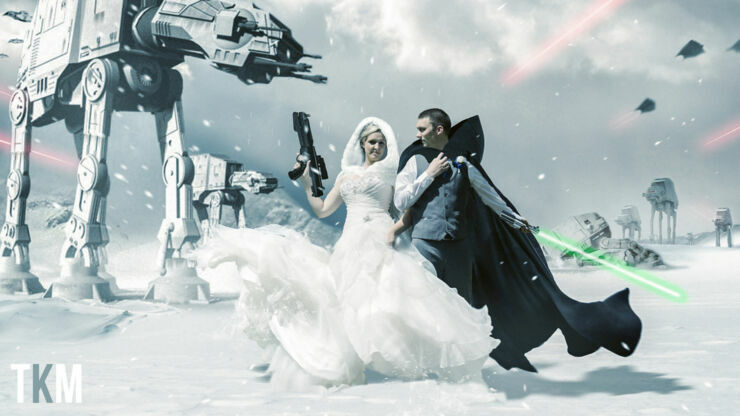 Avid Star Wars fans will be envious of this great wedding photo which features the bride and groom wielding lightsaber and a gun set against the snowy backdrop of planet Hoth from Empire Strikes Back. It was created by photographer Tanya Musgrave who took a photo of the couple posing, then spent an epic 12 Photoshop session turning it into a Battle of Hoth Star Wars scene. 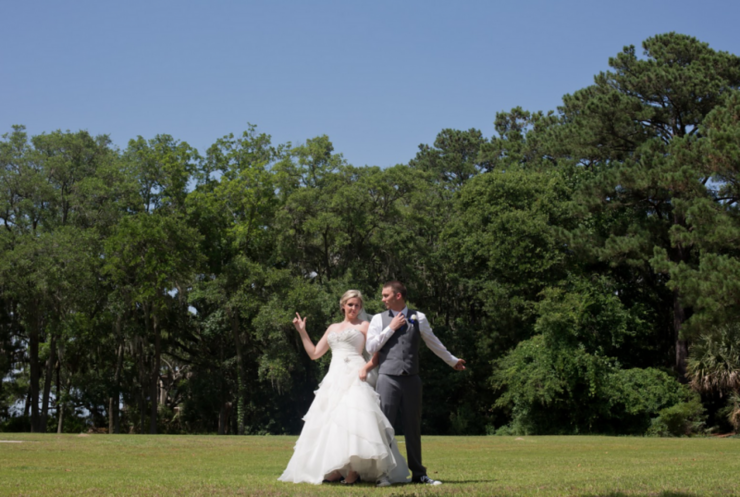 The video above is a time-lapse of this mammoth task, showing how Musgrave added the newlyweds to a backdrop of AT-ATs, before adding in lightsaber, Jedi cloak, snowspeeders, and, of course, lasers. The result is very impressive indeed and shows that with half a day at your disposal and some fine PS skills, it's possible to become a Jedi. In image form, anyway. And here's the finished article.